This is TOP! 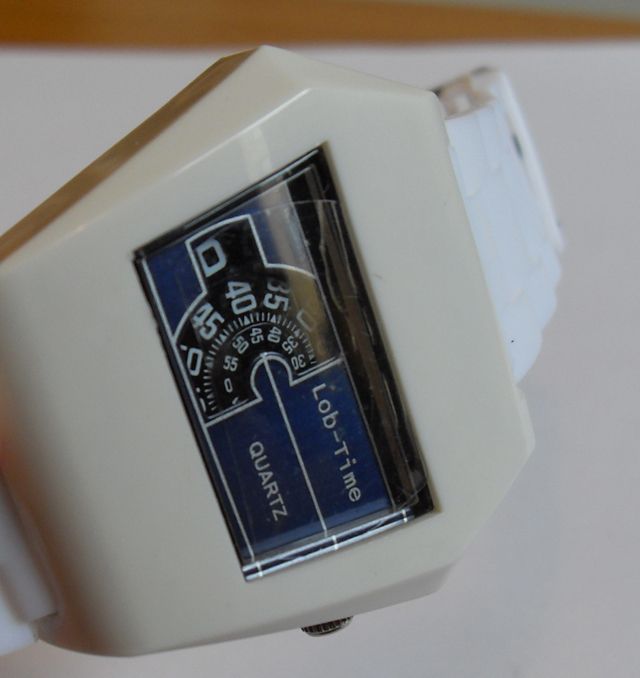 A jump hour watch, and they don’t get much more retro than this. 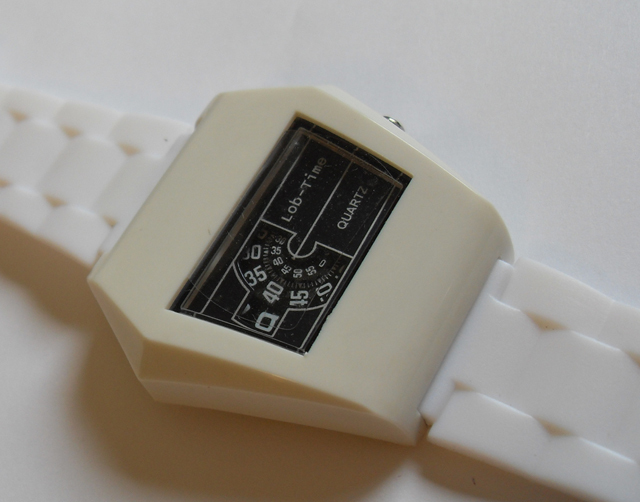 Chunky white plastic, with black jump hour dial, retro fonts… what’s not to like?? 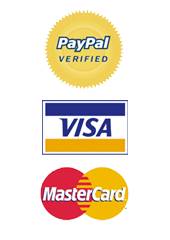 This watch has excellent dimensions, and a wide face and unique shapes and contours. 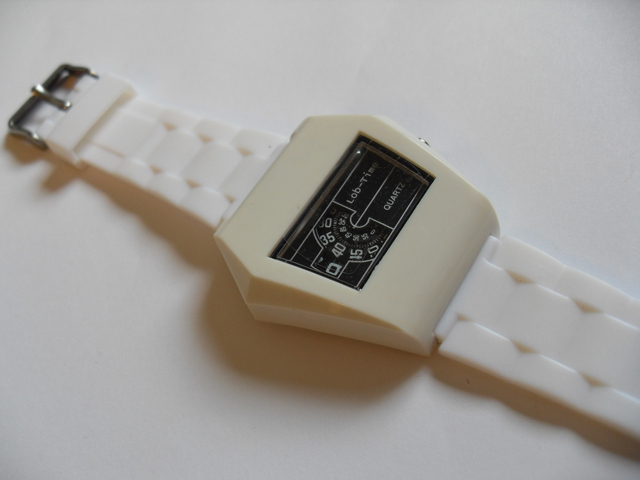 Lovely all-plastic piece makes this the ideal every-day watch. is this in good working condition? And this one, can i buy? 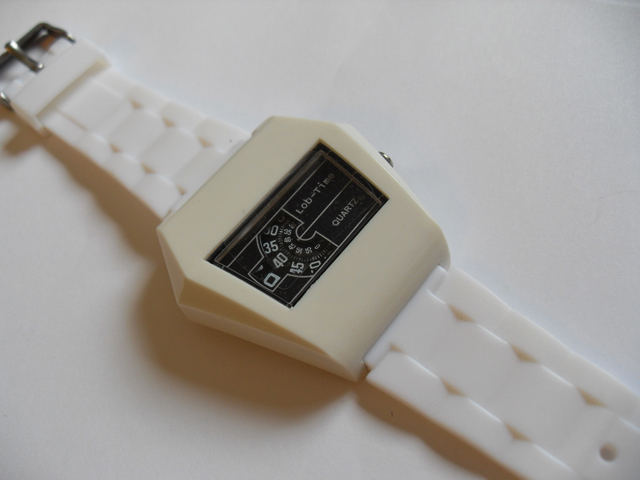 This watch is back in stock now! A plastic, quartz, Andre Rivalle. I have two. I painted the white one silver, and added a steel band to mimic the real deal, which I also own. 🙂 Great watch…..